OPPO F7 is all set to Launch in India on 26 March with Notch. We know that Oppo did not take part in the MWC 2018, held in Barcelona. And we came to know that Oppo is planning for a separate event later this month. According to a report,Oppo F7 is said to be the upcoming smartphone and may be the reason too that Why Oppo skipped the MWC’18. OPPO also confirmed to launch its latest smartphone on March 26th in India. The OPPO F7 which is going to be unveiled on March 27, just a day before the Vivo V7, features the trending notch design & 25MP selfie camera. 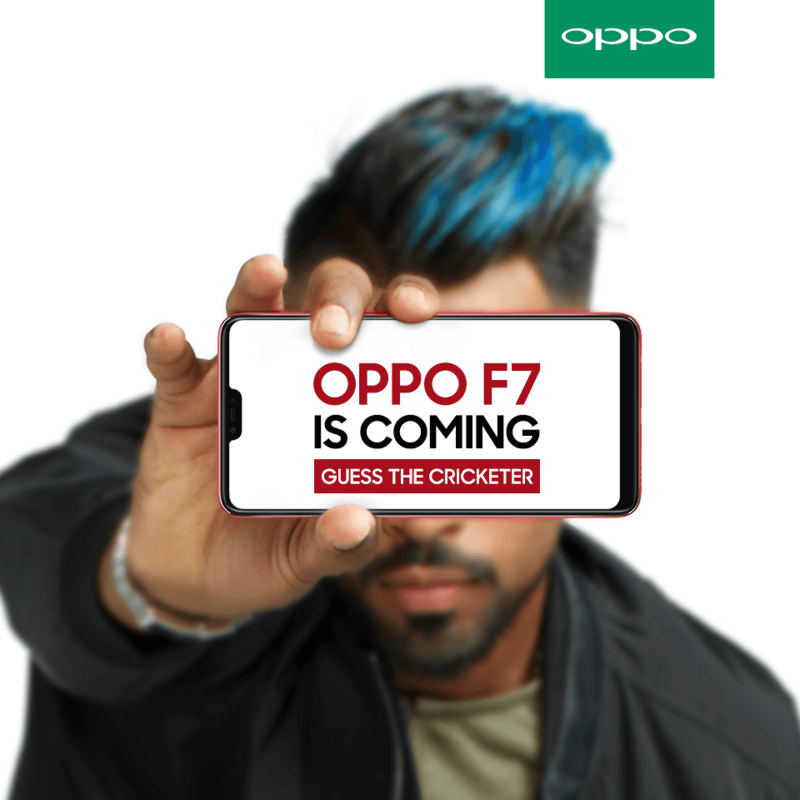 OPPO might also announce Hardik Pandya as their new brand ambassador. The F7 is believed to be the sequel of OPPO F5 smartphone. Since it is a successor it will replace the 20MP selfie camera with a 25MP sensor. We don’t have any information about the rear camera. Just like the Vivo V9, the OPPO F7 will also come with a 19:9 display featuring the FRUIT X-like notch. The device is expected to come with a metal unibody design with a 2.5D curved glass laid on front. The volume rocker and power button are placed on the left and right sides of the phone, respectively. Going by the leaks, the OPPO F7 will be featuring a 6.2-inch IPS display with Full HD+ (2246 x 1080 pixels) resolution. The OPPO F7 will come with a 3.5mm audio jack, MicroUSB 2.0 port, and a loudspeaker. The fingerprint scanner is expected to be placed at the rear. We will be getting more leaks about the OPPO F7 soon and will inform you people soon. Till then, stay tuned and stay updated.